Remakes, re-releases and revamps. These three words are becoming all too common in the world of videogames. There’s another, similar, word and it’s one that sums up Rise of the Dark Spark perfectly: rehash. Even though it’s from a different developer, it heavily recycles assets from 2012’s Fall of Cybertron. Character models – ergo transformation animations – sound effects, textures and even the multiplayer Escalation mode in its entirety have been lifted, presumably to keep development costs down. If you’re thinking that it’s a little odd for Activision to offload one developer’s assets onto another for them to try and create a new experience with, then you’re right. This does at least mean that the foundations of fan favourite Fall of Cybertron are still in place. 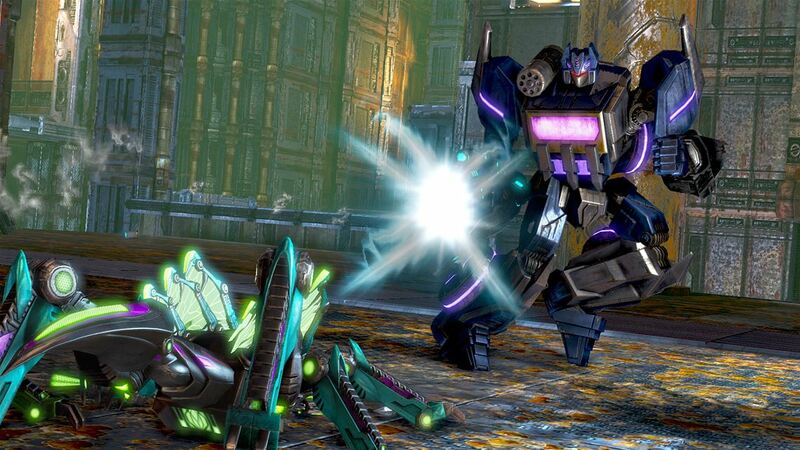 Fall of Cybertron wasn’t just a decent Transformers game. It was also a decent shooter in its own right. Like before, weapons can be upgraded numerous times and each is as loud and satisfying to use as the last. Even the most basic of rifle shots cause enemies to explode in a highly satisfying manner, and there’s certainly no shortage of things to shoot at. Opposing forces are both relentless and great in number – on a few occasions we were surprised by the amount of times we had to retry some missions, such is the AI’s ferocity. Visually however it’s looking a bit dated now, especially the Xbox One and PlayStation 4 versions which are no different to their last-gen counterparts. 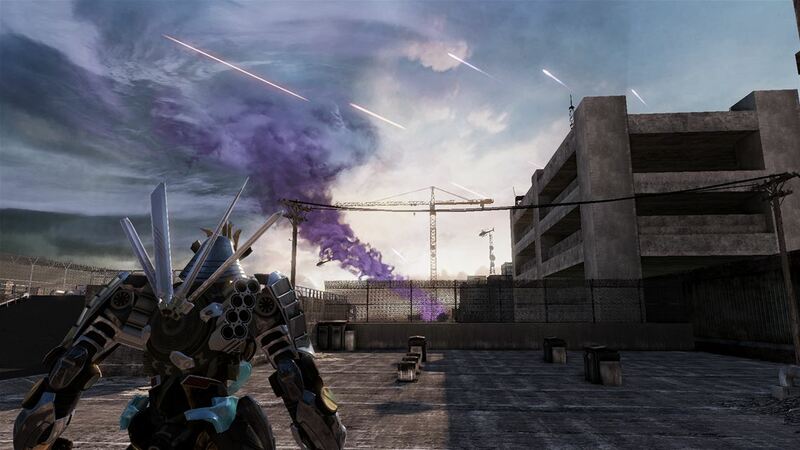 Explosions and smoke trails are alluring enough, but make no mistake – this is a game that’s firmly stuck in 2012. We even have our suspicions that the few levels set on Earth borrow bits and pieces from 2011’s Dark of the Moon tie-in. Another major issue is that the plot is thinner than a tissue. Transformer mercenary Lockdown has obtained the Dark Spark – a mysterious artefact that was once locked deep inside Cybertron. Both the Autobots and the Deceptions seek to gain control; Optimus hopes to destroy it, while Megatron wishes to wield its power. Lacking edge, the cut-scenes are forgettable affairs, but thankfully the budget did allow for Peter Cullen to reprise his role as the ever optimistic Optimus. 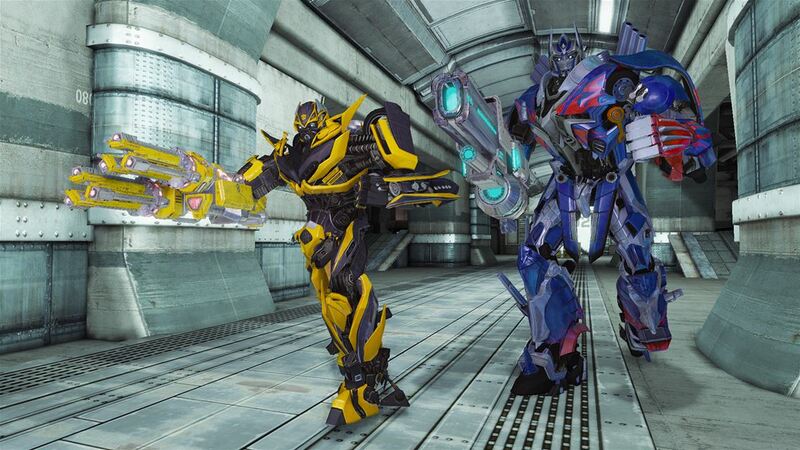 Other characters also remain true to their roots, with the usual rivalry between Megatron and Starscream present. The first mission features newcomer Drift, a samurai Transformer who prefers swords to guns. This short introduction set on Earth teaches the ropes and contains a handful of references to the latest Transformers movie. 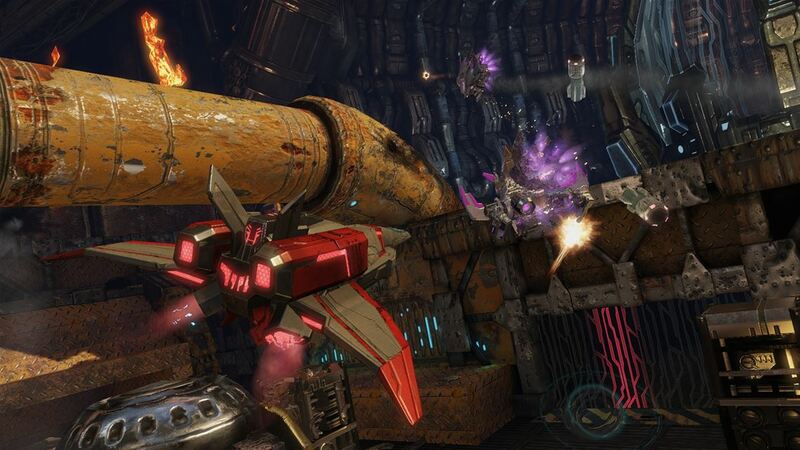 The story then shifts to Cybertron, and due to the heavy asset recycling those who played the last Transformers game will feel a heavy sense of deja vu, especially with regards to mission objectives. The character roster is as long as your arm, with each mission giving the chance to control a different ‘bot. A surprisingly high number of missions are viewed from the Deception perspective, with the Insecticons’ lore explored to significant degree. Collectable audio logs help to flesh out the history of Cybertron further, voiced by a charismatic David Attenborough sound-alike. Even with a short six hour runtime, the campaign starts to drag towards the end. The last few missions feel like they were thrown together in the final hours of development, with one dull slog through abandoned city streets in particular causing our interest to wane. Even the appearance of Grimlock failed to grab our attention, save for the fact that the character’s transformation animation is laughably poor. Developer Edge of Reality has at least seen fit to throw a few ideas of their own into the pot. ‘Gear Boxes’ that contain a wealth of random single-use consumables and new characters skins for multiplayer, are awarded by levelling up and completing challenges. These challenges – or ‘Combat Distinctions’ to use their correct name – are completed on the fly, mostly entailing killing 50 enemies with certain weapons or using support items proficiently. Up to three consumables, including shields, grenades and flying AI drones, can be equipped at once. On the hardest difficultly setting these items are near essential for survival, but on the default difficulty setting most gamers should be able to get by without having to rely on them. That said, the consumables that bestow additional XP for short periods are very handy for rising up the ranks quickly. XP carries over to the co-op Escalation mode. Here, you and three others stand against fifteen waves of AI enemies. Every kills earns Energon shards that can be used to set up turrets, turn on electric barriers and activate healing stations. Escalation is easily the game’s most engaging aspect. Indeed, if you never played Fall of Cybertron then you may get a surprising amount of mileage out of it. The difficulty level is perfectly pitched, with the later levels requiring some good old teamwork to get through unscathed. Characters can be kitted out with custom loadouts while consumable items collected in the main campaign can also be used here. Again, the groundwork was already provided by High Moon Studios – Edge of Reality has merely tinkered with it, adding a few little nips and tucks. The absence of new maps is highly disappointing though, further enforcing the fact that Activision really didn’t want to open their wallet for this one. In a somewhat apt comparison, this is the videogame equivalent of the ‘Junkion’ the Transformers meet in the 1980’s animated movie – a bunch of recycled assets and shiny new parts malformed into something that only just holds together. This isn’t a case of more of the same – the lack of polish is notable from the start, while the story is so uninspired that it makes it hard to recommend to even Transformers die-hards. Every now and then it becomes apparent that Edge of Reality has a soft spot for Transformers (one of the last weapons to unlock is a ‘Throwback pistol’ that makes those retro laser noises) but Activision’s minuscule budget has sorely robbed all chance of this being another celebration of all things Cybertronian.